Real wood veneer meets a chrome frame creating a contemporary blend that is pleasing to all. New X-Frame design for increased strength! 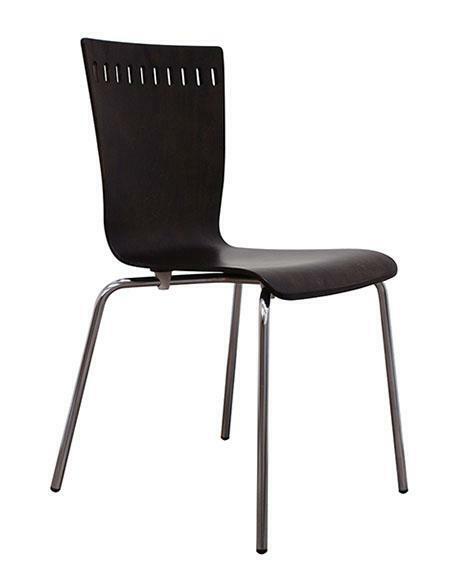 The Turret chair is in thousands of restaurants and break rooms all across America. I would like to receive pricing for the following item: Clear Design Turret Chair.